Whether you’re moving from miles away, or just round the corner, if you’re moving house in or around Westcombe Park, Moving Service is the name you need to remember. We have been supporting our local community in their relocations for years. We know the SE3 area inside out, and have expert knowledge of everything you need to know about making yours a successful house removal. Helping with everything from packing to transport, we are the movers you need when trying to get from A to B without any stress or fuss. All you need to do to secure you booking is call on 020 8746 4402 now and tell our friendly experts what you need and when you need it. Being close to the Blackwall tunnel and an easy train ride into central London makes Westcombe park both an ideal residential location for commuters, and also an easy to reach destination for tourists. 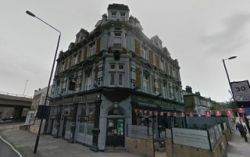 It is located in the borough of Greenwich, and has some fantastic expanses of local green land known as Blackheath Common. In addition to this there are some exemplary buildings in the SE3 region such as Westcombe Manor and Woodlands House, which offer visitors fantastic views and an appreciation for historic British architecture. The area has a charming selection of local shops and restaurants, and the other major draw is the local rugby club which often hosts major matches. So, whether you love sport, shopping or the countryside, Westcombe has it all. If you haven’t moved house before (and even if you have) then the whole prospect can be rather daunting. You somehow need to fit all your worldly possession in a tiny (compared to a house anyway) vehicle, and safely get them from one house to another, and then you have to unload them the other side, easy right? If thinking about moving house is causing you to break into a cold sweat, don’t panic - call in one of our experts to handle it all for you, and you can go back to sleeping soundly. We can manage the whole moving process from beginning to end, and when our experts are on the case, you don’t need to worry about anything. Why Are Our Westcombe Park Moving Teams So Special? Some people assume that removals to Westcombe Park are easy, ‘anyone can do it’ they cry. But we beg to differ. 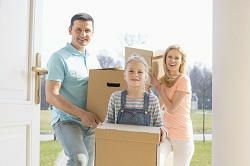 Having spent many years doing this and becoming experts in the field, we know for sure that there is a lot more to a successful relocation than just having a strong man and a sturdy van. In fact, there is a great deal of skill needed to be able to pinpoint exactly how much space you have to move a ginormous sofa, or get a precious wooden table out without a scratch. Want your house removal to go easily and without a hitch? Call us on 020 8746 4402 and find out for yourself just how much we can help you with. If you are paying a lot to a moving company in SE3 district, then you might want to consider switching to us. Even if we don’t know who you’ve already spoken to, we can guarantee that our prices are lower. We offer a price matching offer to all customers, so if they find one of our fantastic removals services at a lower price elsewhere, we want to know so we can beat it. No one should have to pay a lot to move house, so call Moving Service on 020 8746 4402 and we will show you what true value for money looks like. We will even come to you to do a free estimate before you make your decision.